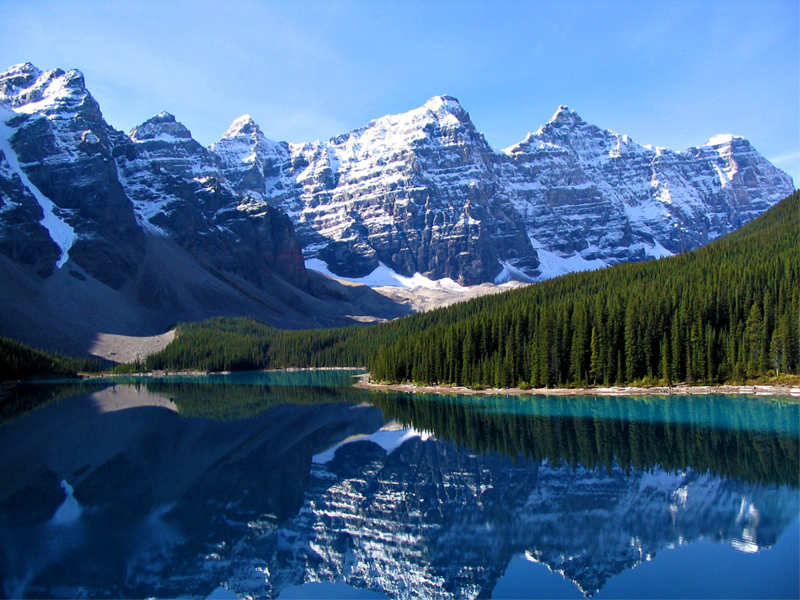 ST. GEORGE – This month, SkyWest Airlines is beginning its once-daily United Express jet service between St. George, gateway to Southern Utah’s national parks, and Denver, gateway to the Rocky Mountains. 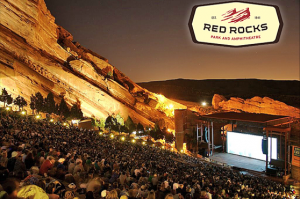 For those considering Denver as a destination, whether you’re interested in seeing the Denver Broncos, the famous Elitch Gardens, or the Denver Art Museum your itinerary of things to do and see is certain to be maxed out. Your vacation awaits you in less than two-hours flight. And whether you’re for leisure or business, taking advantage of Denver-whether flying direct or beyond gives St. George travelers more destination options than ever before. Only a short flight on SkyWest Airlines’ United Express service delivers access to the Mile High City and is just one stop from more than 120 destinations beyond. To celebrate the new service, SkyWest Airlines is launching an introductory fare, offering nonstop flights as low as $99 (see terms and conditions below) each way, based on required round-trip purchase between St. George, Utah, and Denver, Colo. beginning June 6. Book now at united.com. These low fares are available for purchase on united.com now through June 20, 2013, allowing for 14 days advance purchase of the travel date. To secure these fares, all travel must be completed on or before Sept. 25, 2013. Whether it’s your anniversary, or you just need to get away, plenty of entertainment and relaxation awaits at the end of your United Express flight to Denver. In Denver, shop at the 16th Street Mall between Market Street and Broadway, visit Estes Park or the nearby Rockies – or relax at the Omni Resort. Catch a comedy show in Denver. 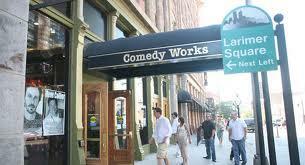 Standup comedian Amy Schumer (NBC’s “Last Comic Standing”) recommends the “Denver Comedy Works” as one of her top-10 favorite clubs to perform in; and some of the hottest comedians around are making appearances and entertaining live at “Denver Comedy Works” and “Paramount Theatre” this summer including Dave Attell, Jim Belushi, Drew Carey, Rob Schneider, Christopher Titus, Tom Segura, Mo Mandel, Josh Blue, Sklar Brothers and George Lopez. SkyWest’s United travelers flying to the Mile High City can enjoy not only all that Denver has to offer – they also have access to destinations beyond, such as Chicago, Ill., Washington, D.C., New York, and more than 100 more hot destination spots. Flight schedules are ideally timed to provide travelers with the maximum connection opportunities in Denver. Members of United’s MileagePlus loyalty program flying between St. George and Denver will also accrue MileagePlus miles. Of course, Denver passengers will enjoy SkyWest’s award-winning reliability while experiencing the unmatched service SkyWest customers have come to expect. Because that’s what SkyWest Airlines’ more than 10,500 people do-they make extraordinary seem ordinary. Skip the highway hassle and fly directly from St. George Airport aboard the comfortable 50-seat jet, where every seat is an aisle or window. Book today – the lowest fares are at www.united.com for Denver and www.delta.com for Salt Lake City. For more information about SkyWest Airlines, visit www.skywest.com and follow on Twitter @skywestairlines. All prices are each way, based on round trip purchase; restrictions apply. Tickets must be purchased at least 14 days prior to departure, but no later than 11:59 pm, Central time, June 20, 2013. All travel must be completed on or before September 25, 2013. Saturday night minimum stay required. Tickets are non-refundable and non-transferable. Fare Availability is capacity controlled. Price includes all transportation taxes and fees. Additional baggage service charges, fees for other optional services may apply. Fares, fees, rules, and offers are subject to change without notice. Other restrictions may apply. Flights are operated by SkyWest Airlines, doing business as United Express. A $50 fee will be charged for paper tickets issued by United. Tickets will cost $25 more per person if booked by telephone and $30 more per person if booked at an airport ticket office. These costs may vary by country. To avoid paying this additional expense, book and ticket your reservation on united.com. Kind of odd that in a release about United service to DEN they make a plug for Delta. LOL. Don’t forget luggage fees and seat fees! That 99 dollar fare is more like 150! Traded LAX for DIA. Not sure what the rational is there. It sure wasn’t an expansion of service for SGU. The only thing the new airport has done for me is turn a 5-minute drive into a 15-minute drive and magically change free parking into $5/day parking. No preference for me between the turbo-props and the regional jets. They are both safe and equally (un) comfortable. The St George metro area is just too small and too close to Las Vegas to merit service expansion. The city fathers were blowing smoke when they riled the population up with talk of expanded service. If you build it, they may not come. Bender, DEN makes a lot more sense than LAX, as it offers many more connecting opportunities. Traffic to LAX generally ended at LAX, while traffic to DEN will likely include a lot more people connecting to points east. Now if they could just coordinate the schedule better with UA in DEN, it might mean filling some seats. Yeah, I guess. SLC has been where I connect going east out of SGU in the past. DEN is clearly a better place to connect… 5th busiest US airport vs. 24th for SLC. I used the LAX route and will miss it. Wish we had flights to DEN, LAX, SLC and PHX. I’ll continue to drive to LAS and fly Southwest when I am paying and fly out of SGU when someone else is paying. Can’t agree more, Bender, St George is clearly just too close (technically in the Vegas market) for its own, real fuctionaling airport now and in the foreseeable future. The city government did indeed blow smoke – as is typical of them when THEY are in favor of something, not the citizens. As far as I’m concerned, as long as we continue to have comfortable, reliable taxi/bus service with cheap rates to McCarran, there’s just no hope for SGU. most of the SGU/LAX traffic was SkyWorsts’ own people getting out of Saint George (small wonder). You know they were flying at a discount, and the flights were thusly at a loss. as for the new airport, it was a ripoff of taxpayer money from the getgo. I will continue to shuttle to Las Vegas and help the local limousine and van companies in St. George. I don’t like riding in a van for 2 hours but the shuttle service didn’t ask for millions of tax-payer dollars to help fund their agenda. When I see more than one airline at SGU I might consider flying, until then it’s a great airport for the employees of Sky-West who fill the planes. Bree, the Las Vegas airport also receives federal/state/local money… SGU wasn’t funded any differently than LAS. The FAA paid over $120M and the local share was somewhere around $25M. The FAA funding comes from fees paid by the flying public. When the land the old airport is eventually sold the local cost may become quite low. The airport will certainly be a good investment for us in the long term, but short term it’s hard for me to see the benefit. I am especially annoyed by the happy talk about all of the new flying routes that would open up by local politicians who should have known better. Also, when you factor in the cost of the equipment installed to charge for parking it’s hard to see how it made any sense to install it. The city could have garnered some good will by leaving the parking free.